One of the most popular types of probes for these instruments is the scintillation probe. Depending on its materials and construction, this type of probe can be used for the detection of α, β, γ, and neutron radiation. The most common light detector in scintillation probes is the photomultiplier tube (PMT), and although expensive when new, a large number of new surplus units are available at very affordable prices in the secondary market. There are many types of PMTs, each with its own characteristics and specific supply/readout requirement. In addition, each radiation counter model has its own interface requirements, so a single schematic diagram does not suffice to show how to connect any PMT to a ratemeter. 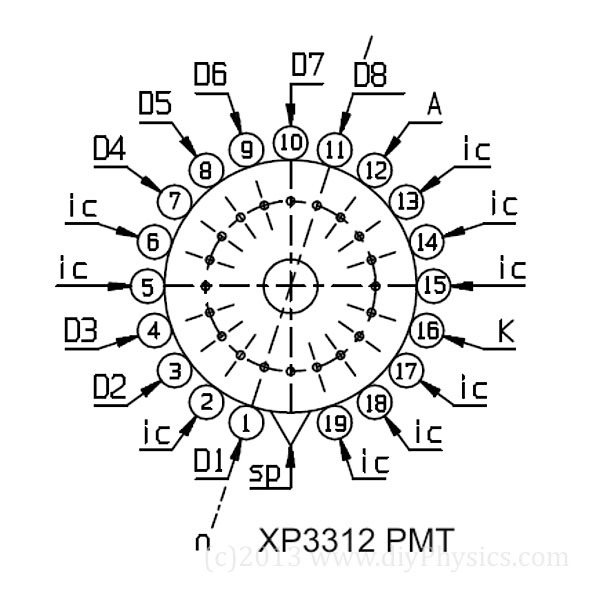 For this reason, we have selected the XP3312/SQ – a PMT that is currently widely available in the surplus market as the detector for our probe. The XP3312/SQ PMT was used by Philips Medical Systems in some of its gamma cameras and CAT scanners. It is an 8-stage round tube with a 3” diameter window. The PMT achieves a gain of around 2.3 × 105 at a bias voltage of 1,000 V. The PMT is sensitive to photons within the 290 nm to 650 nm wavelength range, and its sensitivity peaks at 420 nm. 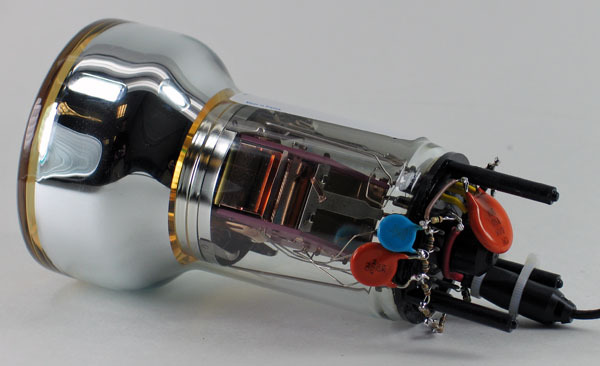 The tube used by Philips has the flying-lead pinout, making it easy to build the dynode voltage divider string right onto the PMT’s base. D. Prutchi and S.R. 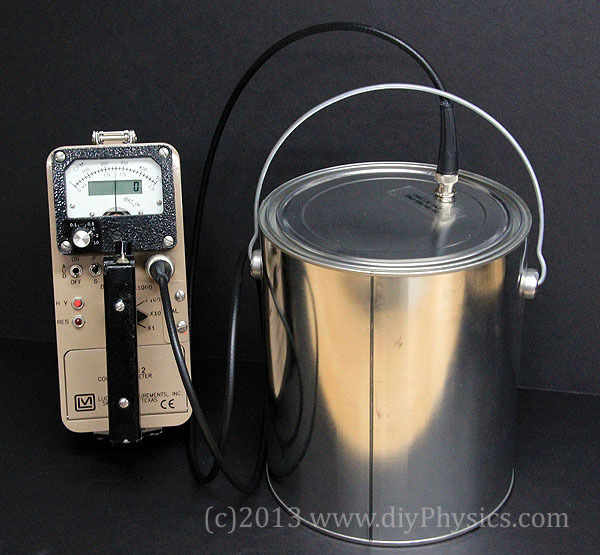 Prutchi, Low-Cost Scintillation Probe Based on a Surplus XP3312 PMT for Ludlum Ratemeters and the Prutchi CDV700-Pro Radiation Counter, www.diyPhysics.com Technical Note 2013-2, March 2013. « diy Wu-Shaknov Experiment: Cheapest Demonstration of Quantum Entanglement?